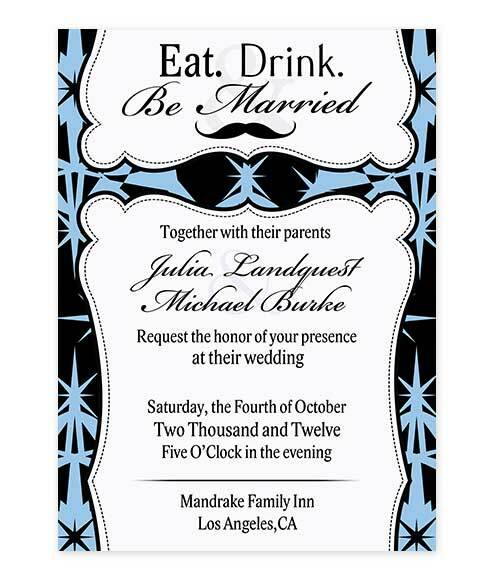 Classy, romantic and oh so eye catching. 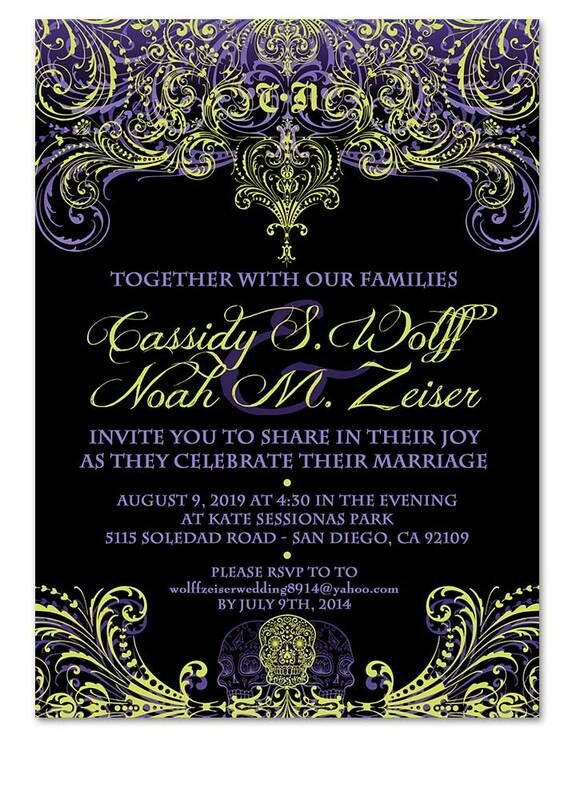 Fancy Gold Flourishes Wedding Invitation – LUX Wedding Invite is the perfect choice for the couple who wants to make a classic statement. The hunt is over! 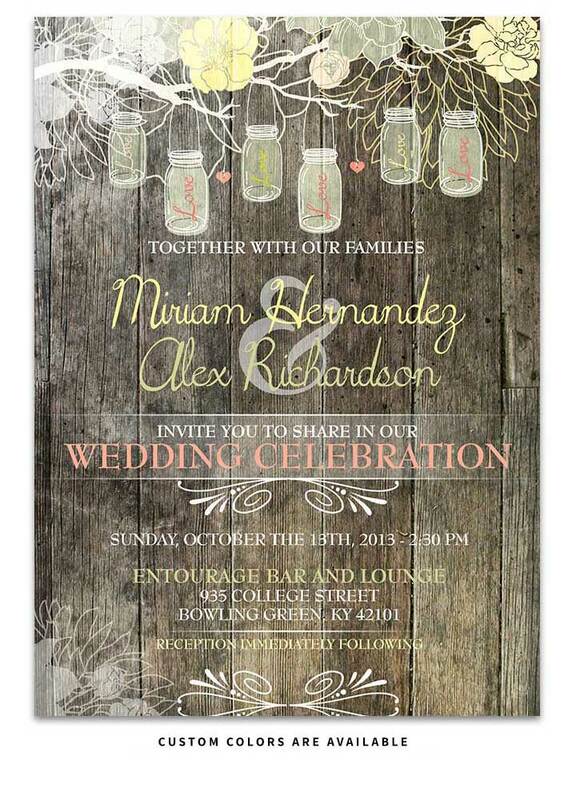 Bohemian in style with popping colors of fuchsia and oranges with string lights hanging overhead with mason jars. You are a romantic at heart and dream of carrying armfuls of vintage roses and a wedding day that’s carefree and magical. 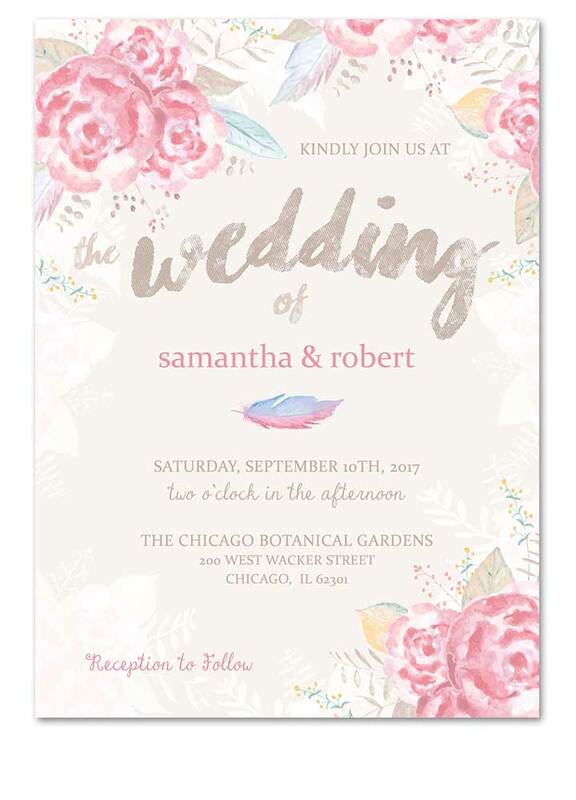 This Floral Pastel Watercolor invitation is perfect for outdoor garden weddings, backyard weddings or more casual affairs. 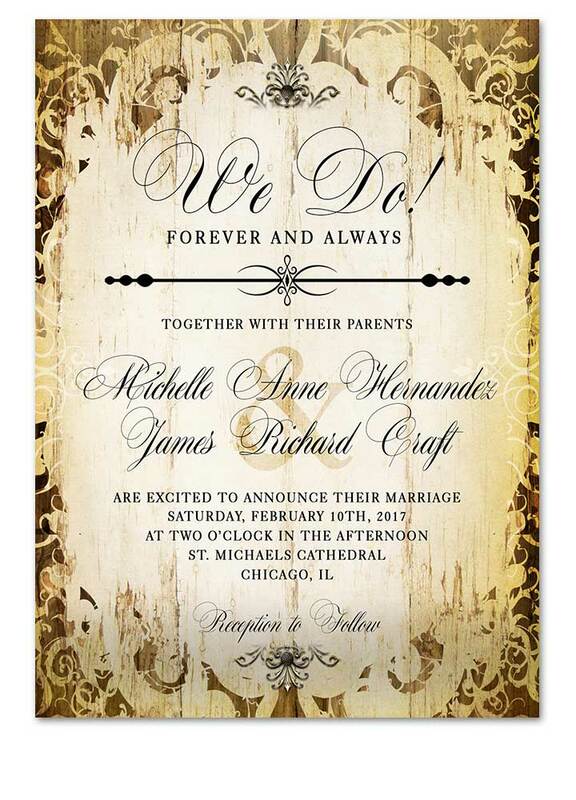 Floral Rustic Chic Wedding Invite. 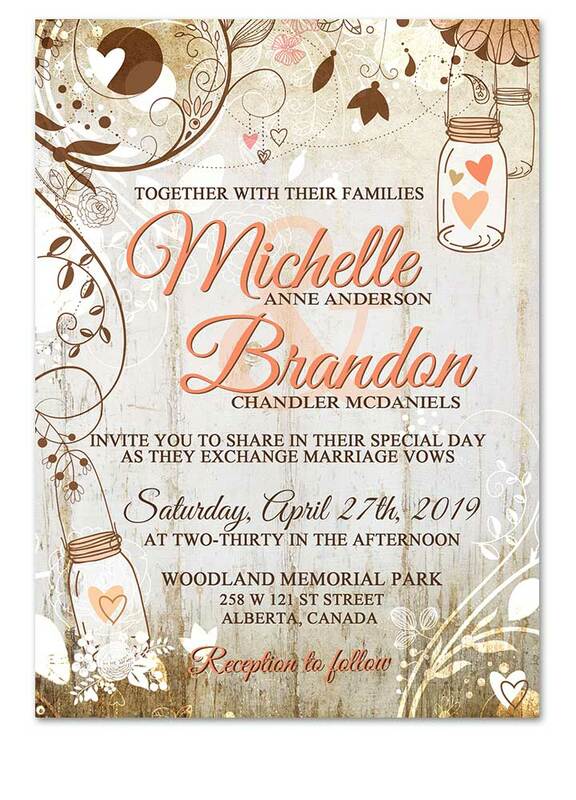 Impress your wedding guests with this gorgeous & professionally designed custom wedding invitation featuring a kraft look background with a stunning combo of calligraphy fonts, beautiful floral design and other whimsical elements. 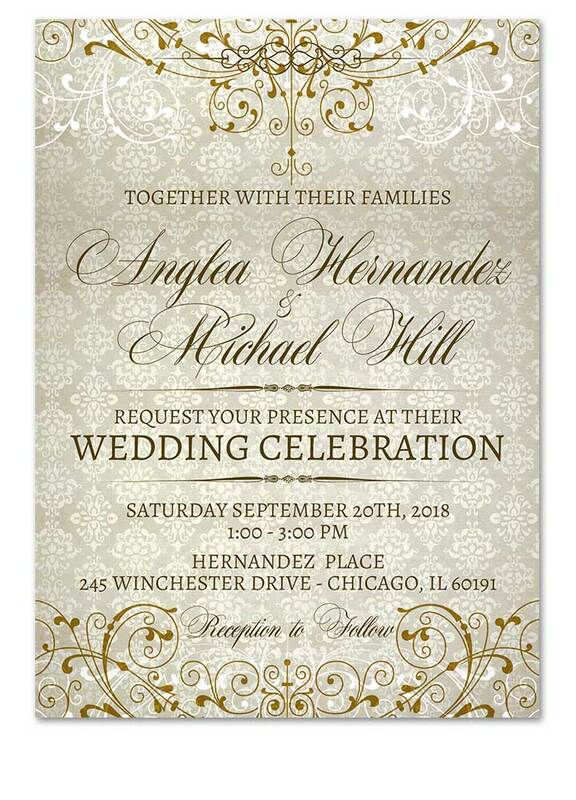 Floral Whitewashed Rustic Chic Wedding Invite. 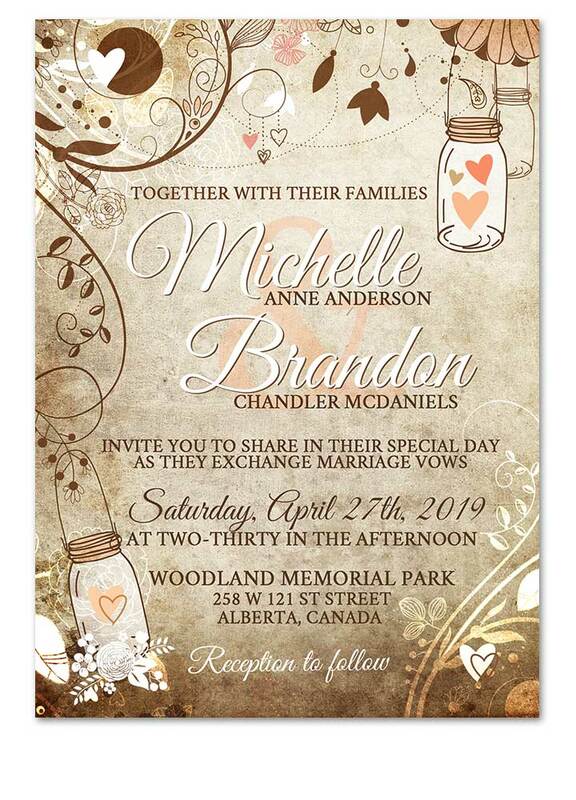 Impress your wedding guests with this gorgeous & professionally designed custom wedding invitation featuring a whitewashed wood look background with a stunning combo of calligraphy fonts, beautiful floral design and other whimsical elements. 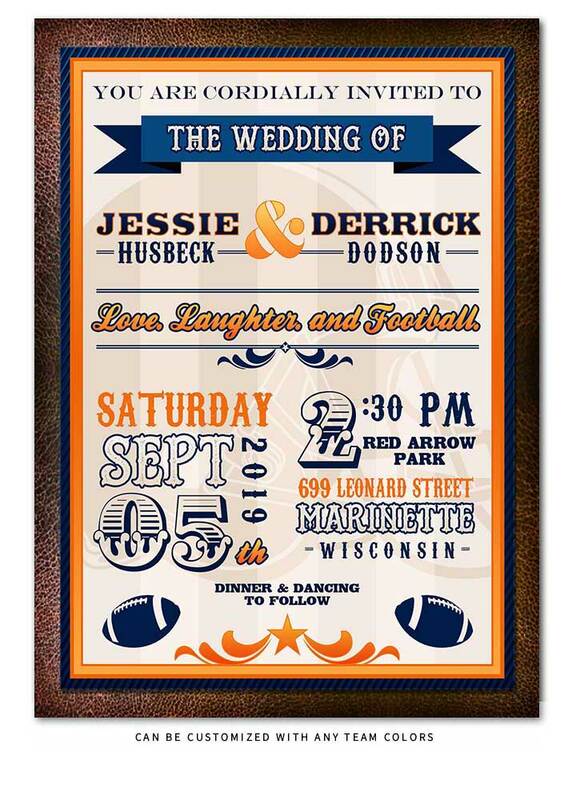 Our Football Team Wedding Invitation showcases your love of the game with custom team colors for your wedding day! 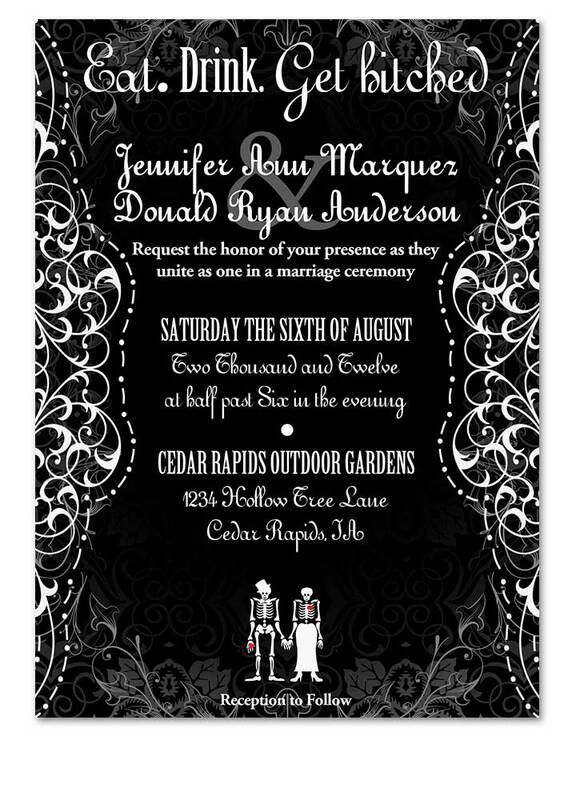 whether you are NFL or Collegiate, this invite can be customized with your team colors. 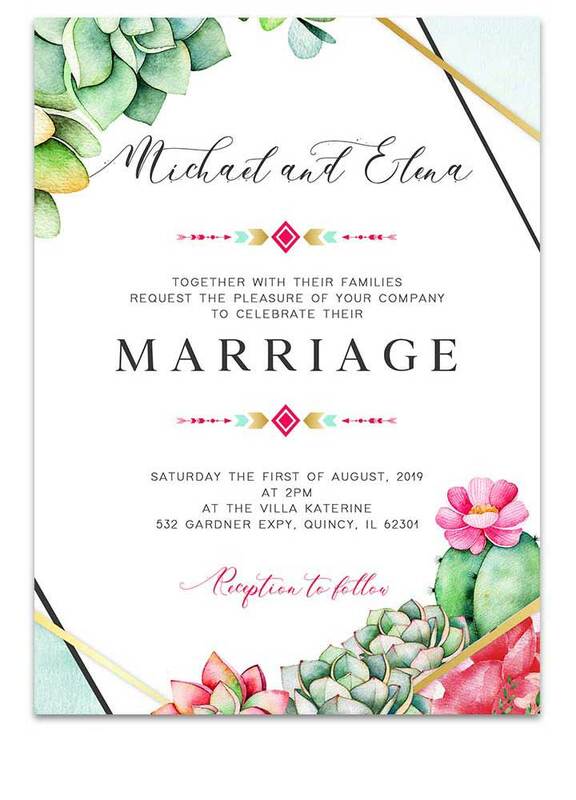 Geometric Succulent Cacti Wedding Invitation for bold beautiful modern floral weddings! 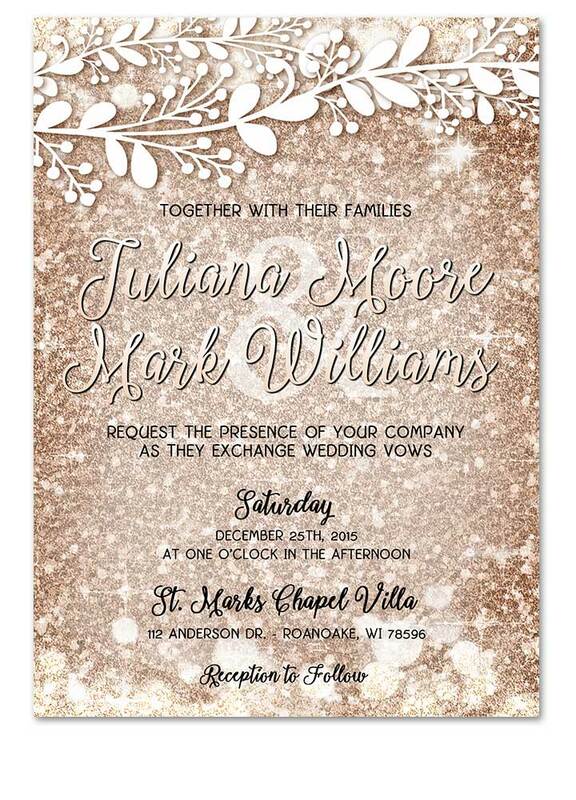 Glitter Inspired Rose Gold Wedding Invitation. This invitation features a faux rose gold glitter background that showcases a white fern flower graphic at the top that creates a stunning one of a kind invitation for your wedding. Be Unique ~ Be you. 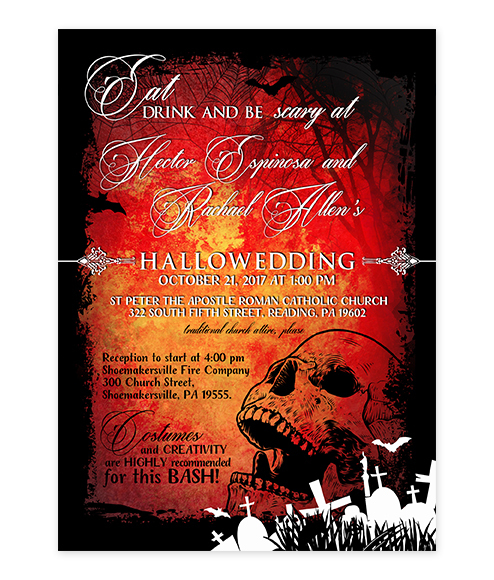 Gothic Flourishes Skull Wedding Invitation is the perfect invitation for that goth , skull or offbeat wedding! 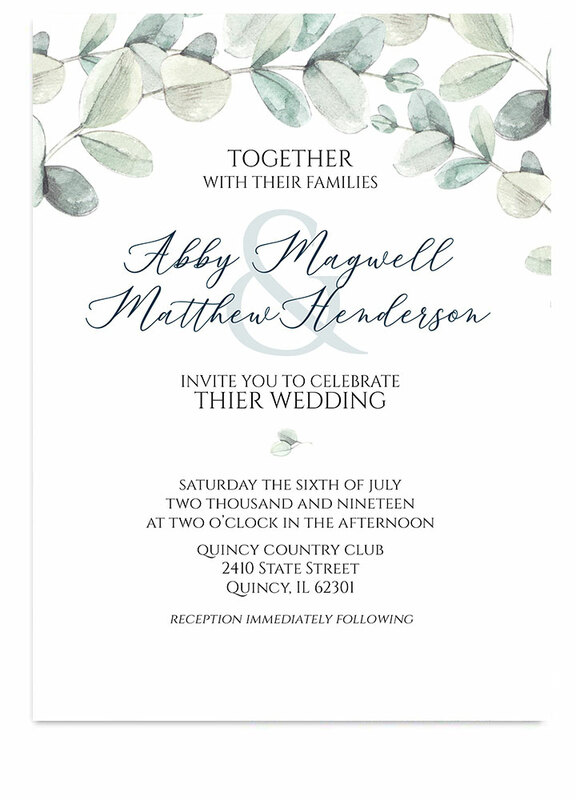 Greenery Eucalyptus Wedding Invite is stunning with it’s greenery placed exactly where it needs to be around your details. Your guests will be in awe of its watercolor beauty and design. Modern and Classic. 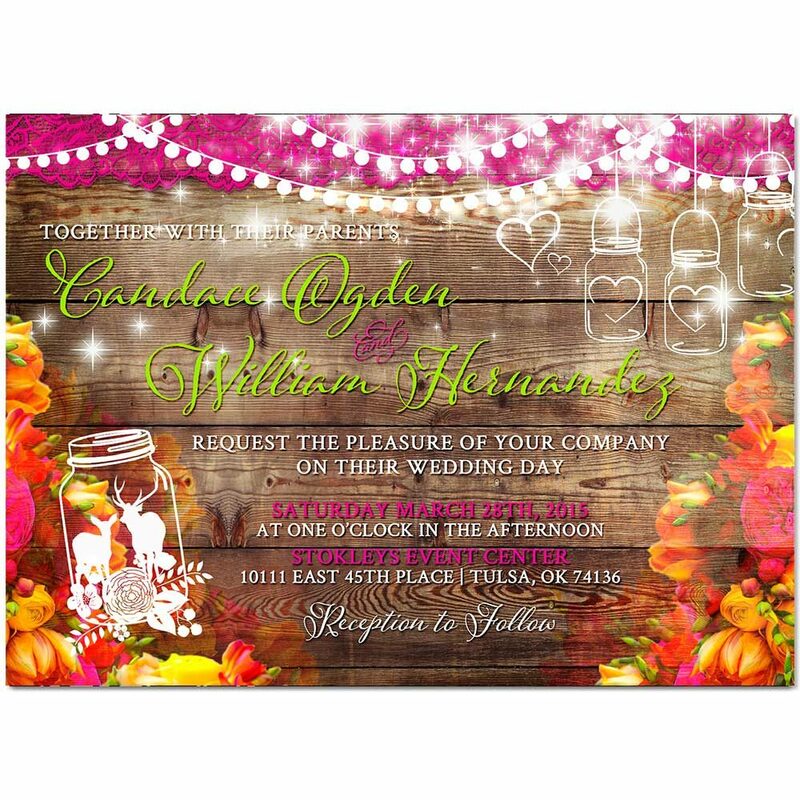 Don’t throw your rustic country wedding without out Hanging Mason Jar rustic Wood Wedding Invitation! Truely unique and will have your guests ready to see you say I Do!